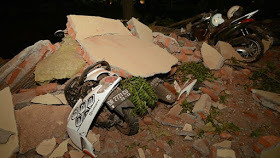 At least 91 people are known to have died after a massive earthquake struck the Indonesian island of Lombok. Hundreds of people were injured by Sunday's earthquake, officials say, mostly in the north of the island. The magnitude 6.9 tremor was quite shallow, occurring only 30 km underground. It damaged thousands of buildings and caused power cuts. About 1,000 foreign tourists are evacuated from the neighboring islands of Gili and at least one person died in Bali. Videos from Bali, west of Lombok, showed people fleeing their homes screaming. More than 130 aftershocks have taken place since the earthquake, Sunday morning. A tsunami warning was issued but was raised after a few hours. 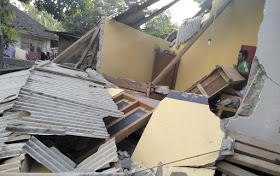 It comes a week after another earthquake hit Lombok, popular with tourists who visit its beaches and hiking trails. This earthquake killed at least 16 people.